Plenary 5-Future plans: Where to go from here? 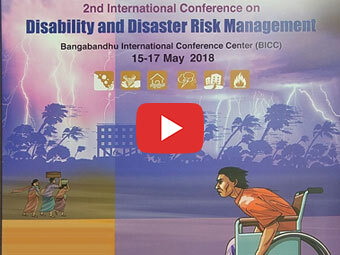 Concurrent Session 4 – Voices and roles of persons with disabilities, their collectives and Disabled People’s Organizations (DPOs) within Disaster Risk Management (DRM). Concurrent Session 5 – Research, surveys and study findings on Disability inclusive DRM & humanitarian actions.